A native Atlantan, Douglas J. Hertz graduated from Westminster High School and went to Tulane University in New Orleans where he earned a BA in History, did graduate work in Organizational Psychology, and earned an MBA in Marketing and Finance. Mr. Hertz began his professional career with KPMG in New Orleans, working in the accounting and consulting services area. Upon returning to Atlanta, he joined United Distributors, becoming its President and CEO in 1984. Under his leadership, United, a privately held beverage distribution business, has grown to be listed as one of the top 25 private companies in Atlanta. In addition to his responsibilities at United, Mr. Hertz is Chairman of Camp Twin Lakes, a camping facility designed for chronically ill and disadvantaged children that he founded in 1989. 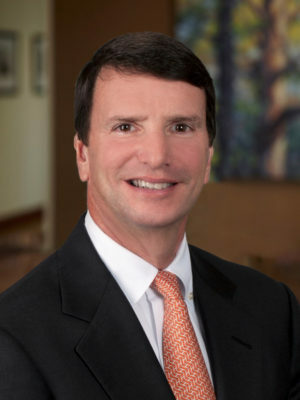 He sits on the Boards of The Marcus Foundation, Inc., Atlantic Capital Bank, Georgia Research Alliance, Westminster School and serves on the Board and Executive Committee of Tulane University. He is the Chairman of the Board of Children’s Healthcare of Atlanta, the largest pediatric healthcare system in the country. He also serves on many other civic, business and advisory boards, including the Woodruff Arts Center and Hands On Atlanta. He has been named the Cartier Volunteer of the Year, is a recipient of the Eleven Alive Community Service Award, and was recognized as the Volunteer of the Year by the Georgia Association of Philanthropy. He received the Jefferson Award in Washington, D.C., as one of twenty in the country, for distinguished service to children. Mr. Hertz is also the recipient of the 2009 Philanthropist of the Year Award by the Business to Business Magazine and was inducted into Junior Achievement of Georgia’s 2011 Atlanta Business Hall of Fame.